Hotel Universal Port Vita provides rooms in Osaka. 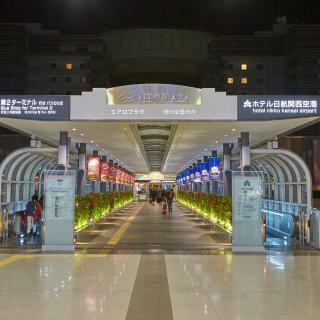 Around 1.8 miles from Universal Studios Japan, the property is also 3.3 miles away from Tempozan Ferris Wheel and offers free WiFi. very good quantity and quality of breakfast. very comfortable in everything! 3-star accommodations, HOTEL THE FLAG Shinsaibashi is located in central Osaka, 1969 feet from Dotonbori River and the Ebisu Tower Ferris Wheel, 2297 feet from popular music and shopping district... nice location, just a minute away from subway! all the staff was so nice and well mannered. the room is also nice, not too narrow compare to the other hotel in this price rate. Open from October 2017, Residential Hotel Hare Shin-Osaka is located a 3-minute walk from Shin-Osaka Station East Gate Exit 11. Everything! It is super pretty and comfortable, the room had everything, even washing machine. It had bath tub and shower, the routine to eat was just beautiful, in the downstairs lounge they had free coffee and matcha latte... Nao was the guy that checked us in and he was extremely kind and nice. The room had a smartphone with internet available for our use! Located just a minute's walk from Nippombashi Station, Kamon Hotel Namba offers free WiFi throughout the property and free luggage storage service. Cozy new hotel. Air-con and heater options in room. Windows can be opened. Reasonably good breakfast varieties. Staff speaks good English (or Mandarin). 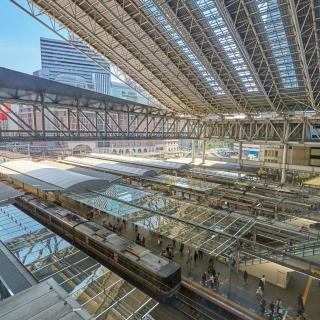 Within 5-10 mins walking distance to Kintetsu Nippombashi Station, Osaka Namba (Kintetsu Line from Nogoya), Namba Subway, Nankai Namba (Train to Osaka Kansai Airport), Dotonbori, Shinsaibashi, Osaka Takashimaya, BIC Camera (more than cameras!) and a block away to Kuromon Market. If coming from Namba subway or Osaka Namba Station (from Nagoya on Kintetsu Line) with heavy luggage, take the exit B-21 (yellow zone) with escalator access and follow google map to property. If you try other exits, you may have to carry your luggage up the long staircase to street level. Open in March 2017, midi HOTEL offers accommodations in Osaka, 0.6 mi from Namba CITY shopping mall. Guests can enjoy the on-site bar. Convenient location with several stations nearby. At 20-30 min walk from Jamba, which in my opinion is perfect - close enough but away from the noise. The room was great - really big and we'll equipped. The bathroom was bigger than many hotels in Europe. Staff is amazing - very kind and helpful. They let us to check in at 11 am in order to get some sleep after our flight. Breakfast was good and we recommend including it to your booking. Overall this was our best experience in Japan and we hope to come back in future. Opened in February 2017, Hotel Cordia Osaka is just a minute's walk away from Higobashi Station. The property is also just a 5-minute walk from Yodoyabashi Station. Love the modern and contemporary style. Staff were exceptional, friendly and made us feel really at home! Hotel Shiki Utsubo Park is located in Osaka, in the Nishi Ward district. Located around 1.7 miles from Nakanoshima Park, the hotel with free WiFi is also 1.8 miles away from Glico Man Sign. Super value for money, super nice staff. Boasting stunning views of Osaka city, 4 dining options and a heated indoor pool, Conrad Osaka offers luxurious rooms in modern decor. The level of service was phenomenal. Everyone seemed to know us by name from the beginning. Waqoo Shitaderamachi is located in Tennoji, in Osaka. 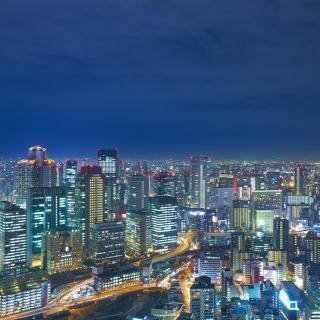 The accommodations is 1640 feet from popular areas such as Tsutenkaku and Shinsekai. Very clean, very modern and tasty decoration. Offering free WiFi, Hotel WBF Namba Motomachi is located in Osaka. This 3-star hotel offers free bikes. The property is a 17-minute walk from Glico Man Sign. Suitable rooms. Breakfast was typical but ok. Near convenience stores and a 24 he supermarket. Located just a minute's walk from Nippombashi Station, Kamon Hotel Namba offers free WiFi throughout the property and free luggage storage service. Cozy new hotel. Air-con and heater options in room. Windows can be opened. Located 7-minutes away from JR Nishikujo Station, The Blend Inn - Studio is a hotel with stylish concrete architecture and free WiFi throughout the property. The shower gel, shampoo and conditioner was amazing!!! And the rain shower. Dormy Inn Premium Osaka Kitahama is located in Osaka. Around 1640 feet from Nakanoshima Park, the property is also 1.5 mi away from Billboard Live Osaka and offers free WiFi. There are awesome hot springs at top floor. Free noodles and drinks are provided at night. 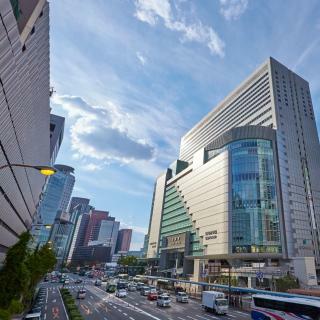 Only a 5-minute walk from JR Osaka Train Station, InterContinental Osaka is located at the newly developed Grand Front Osaka. Everything was amazing, good value for money. 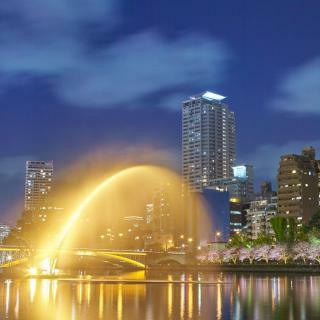 Located in Osaka, Harmonie Embrassee offers free WiFi access throughout the property. Everything is perfect, the staff are very courteous, attentive and helpful. Located in Osaka, within a 14-minute walk of Glico Man Sign and 1.3 miles of Nakanoshima Park, CATALYST ART HOTEL / Vacation STAY 1890 has accommodations with free WiFi. Cleanliness, location, policy and the friendly staff. Located in Osaka, a 19-minute walk from Glico Man Sign, HOTEL It's ON has rooms with air conditioning. Nice location near Shinsaibashi (5 minutes walk). Efficient staff. Clean and comfortable rooms. Which hotels in Osaka have nice views? Osaka Marriott Miyako Hotel, Conrad Osaka, and Hotel Hankyu International got great room view-related reviews from travelers in Osaka. Which hotels in Osaka are good for couples? These hotels in Osaka are highly rated by couples: HOTEL THE FLAG Shinsaibashi, Hotel Universal Port Vita, and Residential Hotel HARE Kuromon. Which hotels are the best ones to stay at in Osaka? Osaka Marriott Miyako Hotel, HOTEL THE FLAG Shinsaibashi, and The Ritz-Carlton Osaka are some of the popular hotels in Osaka. 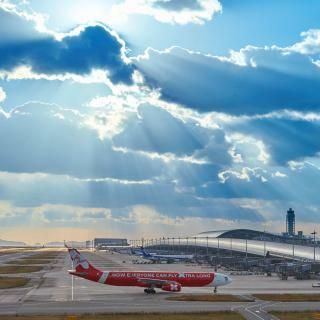 Travelers who stayed in Osaka near Kansai International Airport (KIX) have said good things about Hotel Nikko Kansai Airport, N Gate Hotel Osaka, and Star Gate Hotel Kansai Airport. On average, 3-star hotels in Osaka cost $105 per night, and 4-star hotels in Osaka are $171 per night. If you're looking for something really special, a 5-star hotel in Osaka can be found for $315 per night, on average (based on Booking.com prices). Which hotels in Osaka offer an especially good breakfast? For hotels in Osaka that serve highly-rated breakfasts, try The Blend Inn - Studio, Quintessa Hotel Osaka Bay, and midi HOTEL. On average, it costs $185 per night to book a 3-star hotel in Osaka for tonight. You'll pay around $213 if you choose to stay in a 4-star hotel tonight, while a 5-star hotel in Osaka will cost around $273, on average (based on Booking.com prices). Many families visiting Osaka loved staying at Osaka Marriott Miyako Hotel, Hotel Yu-shu, and Conrad Osaka. Which neighborhood is the best one to stay at in Osaka? Namba, Nishi Ward, and Dotonbori are popular with other travelers visiting Osaka. The average price per night for a 3-star hotel in Osaka this weekend is $307 or, for a 4-star hotel, $327. Looking for something even fancier? 5-star hotels in Osaka for this weekend cost around $608 per night, on average (based on Booking.com prices). This was our first trip to Japan and we spent 4 days in Osaka. We stayed at the Fudouguchikan Hot Springs resort our first night. It was so relaxing and a great way to unwind after Tokyo. We really enjoyed the food in Osaka and visiting Osaka Castle. There is much history here. We also spent a day sightseeing in Kyoto which is really close by bullet train. The hotel rooms in Osaka (for the same type of room) are more spacious than Tokyo and a better value. We could definitely spend more time in Osaka and visit a few more places in this area! Everyone told us that Osaka is boring but we felt it had a great vibe and seemed pretty interesting and less touristy than Tokyo. We definitely would have stayed longer if we could have. 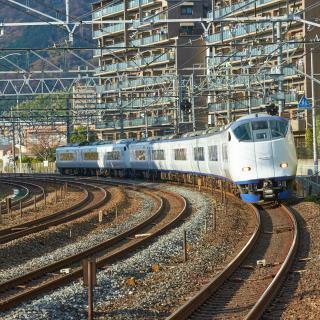 It's also a great place to stay (accommodation was cheaper here) and take the train (with JR pass) to other places nearby, such as Nara, Kyoto and Hiroshima. Osaka is vibrant and fun. Osaka is vibrant and fun. Amazing food, and friendly, outgoing people. The downside is it's so so so crowded, so it becomes very tiring to do anything after awhile, and you want to retreat to a quiet hotel room to recharge! The trains and subway are really easy to use... you get used to the lines you need. 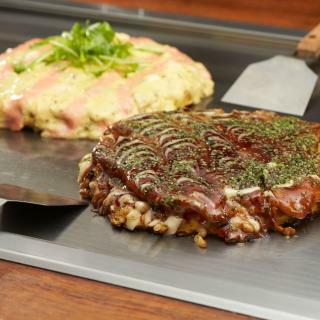 Must sees: the aquarium, Expo City, okonomiyaki or sushi in Dontonburi and the boats that play "Dixie," Umeda shopping, Universal Studios, Osaka Castle, kushi katsu in Namba, and Umeda Sky Building. It's a great hub to stay to enjoy Cherry Blossoms in different places in Kansai area and hotel rooms are much less expensive compared to those in Kyoto. Osaka itself is a very vibrant city with beautiful cherry blossoms. Family trip to sample the icons of Osaka. Osaka Castle, Osaka Aquarium, Dotonburi(Glico running man) and Hep Five(Ferris wheel) Small shops around Agora Hotel which give a local feel to the experiences. Had a 3k yen a head Teppanyaki dinner at the top of the hotel where we were treated like royals, were fussed over by many service personnels. Getting around is very easy provided you got a hang of their many rail lines. We got the Icoca travel cards which make things very easy without having to make multiple ticket purchases, even when we went all the way to Kyoto. Things are about as expensive as they are in Singapore except for alcoholic drinks and tobacco products which are priced better probably due to lower duties in Japan. Osaka City is a good place to go around Kinki area of Japan. Osaka City is a good place to go around Kinki area of Japan. Because it's not only 2nd biggest city in Japan, but also is linking most popular destinations Kyoto and Nara. And so you can find quite cheap hotel/accommodations here around Nishinari area, you can save money to stay.